Every country wants access to a super weapon (a smart bomb, an aircraft carrier, a bio-weapon or maybe even a laser in space), so long as it helps them to bark louder than all the other dogs in the yard. 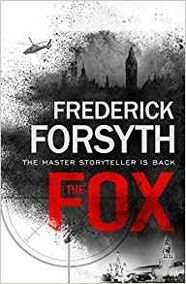 In Frederick Forsyth’s eighteen novel, he poses the question what would happen if that weapon wasn’t a piece of kit, what if it was a person? In this case a young man with a sixth sense for navigating his way around even the most complex cyber security systems. No secret held by a friend or a foe would remain hidden; those who hold power would feel threatened - when that happens, things rapidly turn deadly. Forsyth brings to his latest novel all the elements that have made its predecessors bestsellers. These include meticulous research, a journalist’s feel for the troubles of the current moment and several, not always flattering cameos of (alleged) world-leaders. The action moves at a lightening pace between the corridors of power in London and Moscow as well as the suburban Home Counties of England. There is, despite its high concept nature something, almost, believable about the setup, stranger things have made it into the headlines in recent months. Forsyth doesn’t look too deeply into the motivations of his characters, and avoids entirely the ethical questions relating to turning a vulnerable young man with remarkable talents into a super weapon. Despite this The Fox, like all preceding novels, delivers its ration of thrills by connecting with our fear and fascination with what might be happening behind the headlines. Download ebook.